‘Permit Blues’ is what I was suffering from after three wasteful days in Gantok. 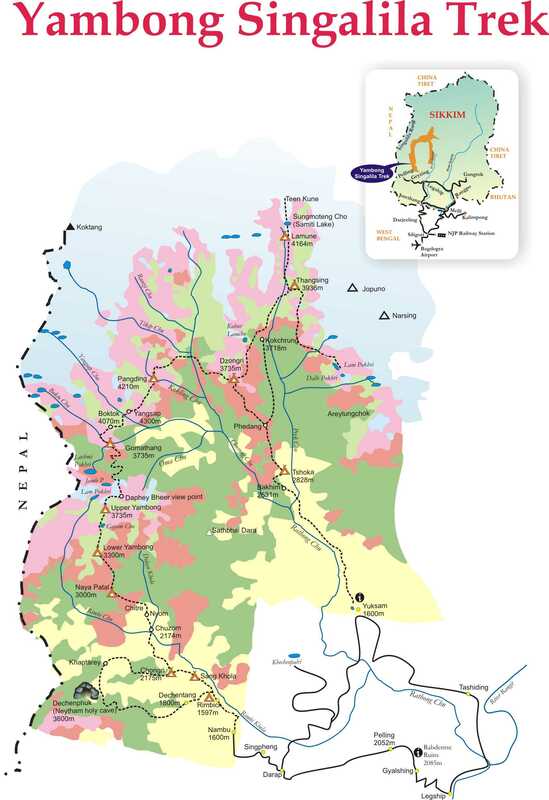 Getting my KNP permit from the Forest Department was proving to be more frustrating that I had anticipated , aggravated further by a bandh and the half yearly bank closing. Like a pawn on the chess board I was shuffled from DFO office to Chief Wildlife Warden, to the Conservation officer who again pushed me back to the DFO. The last move to the Wildlife Officer saw me in the right hands, but not before shoving me to the bank for making a payment for the permit. Actually I was enjoying this bureaucratic game of chess, getting a first hand experience as though I was the poor common man in the popular TV serial of yesteryears, ‘Wakgle ki Duniya’. As the bureaucracy to protect our forests was thickening, our forests were thinning away into oblivion. On the third day, by when I was completely frustrated in the grip of ‘Permit Blues’ a miracle happened. At around eleven in the morning I was awaiting for the Wildlife Officer, who should have been in office half hour ago but did not arrive till half hour past. Recognizing my face he proclaimed in a matter of fact way that my permit was ready, I banged my head against the wall just to make sure I had heard correctly. For the first time since the last two days there was a smile on my face as I walked out with the yellow sheaf of paper stating Khangchendzonga National Park Permission. Within an hours time all my stuff was loaded atop the jeep, ready for the long drive to Darap. The Yambong Singalila trek spans a duration of twelve days but my plan was only to walk upto Daphey Bheer, the view point from where one could see the two highest ranges in the world. This trek spans across the Sikkim side of the Singalila range offering stupendous views of not only the Kangchendzonga range but also of the Everest range. The idea was to get a first hand feel of the trek while bolstering my relations with the locals, before I started taking people to this area. The jeep was literally dragging along at a snails pace making me more impatient than ever. At eight in the evening the jeep finally deposited me to Darap, where Lakhu was waiting for me with the jeep to Nambu. Both of us exchanged polite greetings, transferred my bags, to be on our way to Nambu. The growling stomach needed to be attended before we could discuss anything, but the sumptuous dinner put the issue to rest very soon. We spoke for quite a while also discussing the plan for tomorrow, which was to walk till Chongri where I would stay over at Nima’ place. I awoke to a bright sunny day with clear blue skies, promising excellent weather ahead. Both of us sorted and packed the rations for the trek before we could have our breakfast. The sun seemed pretty strong for eight in the morning, but the speckles sky lent an exquisite beauty to our walk. Could very distinctly see Daphey Bheer, my final destination, from Nambu. This time around the descent towards the river seemed less steep or maybe I was just more engrossed listening to the call of the warblers and bulbuls. Once we started walking along the bank of the Rimbi, the broad leaf trees provided us with the much needed shade. The woods were teaming with bird calls but it was very difficult to spot them without binoculars. 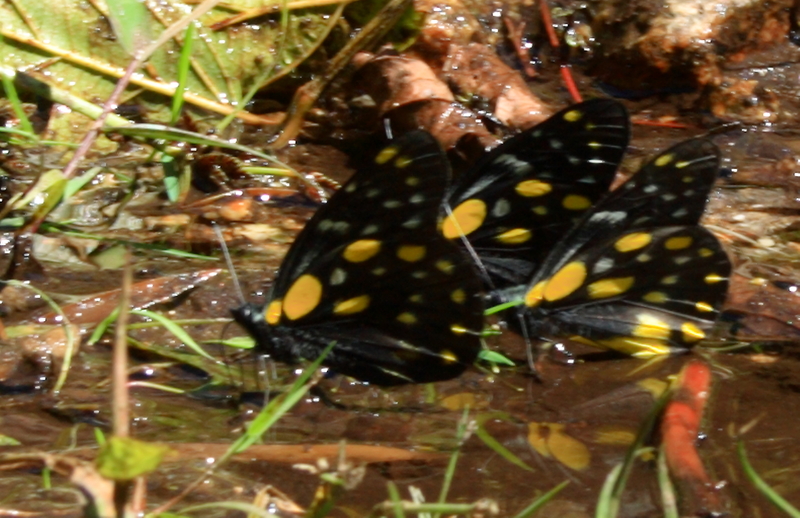 To compliment the feathered orchestra, the fluttering butterflies were providing me with a visual treat. The bright stained glass pattern of the Hill Jizabel seemed really mesmerizing. All my senses were overwhelmed, me lost in a world of my own. Within two and a half hours we reached Sangkhola where we took a really long lunch break. In no time I was off to the river bed to rest within its cool shady boughs, enjoying the occasional bird which came for a quick sip. After lunch Lakhu bid me farewell as he had some plantation related work with the forest officials. He made arrangements for the porter to take me to Chongri, though I remembered the route from my walk two months back. With a heavy stomach and sleepy eyes I commenced the walk to Chongri but the steep climb soon got me back to my senses. For an hour and a half we continuously marched up to be rewarded by stupendous views of the valley below. Towards the end of our climb bumped into Pemba who was going to be my guide for the next few days. He was on his way to Sangkhola but promised to be with me in Chongri by dinner time. On reaching Nima’ place had a hot cup of tea, changed to a dry set of clothes and set out to explore the village making best use of the remaining day light. In the early hours of morning between wakefulness and sleep, suddenly heard the sound of rain slamming hard against the roof, as though a bad omen had come to haunt me. Luckily a weak sun was trying to push itself out of the overcast sky by the time I woke up, raising my spirits too. We bought some vegetables for the trek before beginning the days walk. About thirty minutes later we hit a SSB camp from where the route went leftwards into the valley. From here the path passed through a densely forested area, frequented by black bear and deer. The forest echoed with buzzing insects, singing birds while sunlight tried to peer through it’ canopy. Sadly, the closest I got to seeing any wildlife was the pugmark of a bear. Our path wound through the thick forests for an hour, before we hit upon the second SSB camp, where I had to make an entry. We were now in the open but the grey cloudy sky didn’t look too promising, so much so for my prophecy of getting clear weather on the trek. 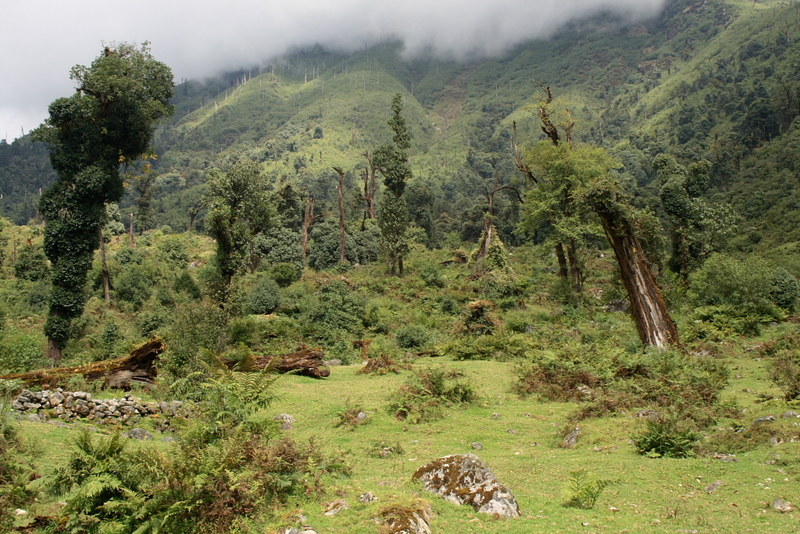 A gentle climb got us to the meadow slopes of Naya Patal which acts as an intermediary camp on the trek. We took a bit of a breather over here, watering our parched throats while enjoying the beauty of the surrounding meadows. The actual climb started from here on, moving pretty steeply. Once again we found ourselves in the midst of thick forests, albeit conifer ones. Really huge pines, hemlocks and silver firs abound the steep slopes. My speed was beginning to slow down considerably as the climb went on winding, but was enjoying it thoroughly. At around midday we took a lunch break near a small stream, the spread wasn’t all that great consisting of only biscuits and nuts with chikki as dessert. Though it was good enough to replenish the body for our onward march. As per Pemba we still had a good deal of ground to cover before reaching Lower Yambong. The mushy ground wasn’t making things easier, further slowing down my pace. For some reason I was reluctant to walk through the mucky marshy ground, trying to jump from stone to stone instead. This was tiring me a lot and beginning to frustrate me as well, for it seemed to be never ending. The hour and a half of struggle over steep mushy terrain completely drained me out of all my energy. Thankfully the last two hours of walk traversed over gentle hillocks encrusted with lightening struck trees. Even that seemed difficult in my current state of a non functional mind. After eight hours of strenuous walking I rolled into the Lower Yambong camp site, extremely relieved at having done so. A glass of hot tea was the perfect antidote to rid the body of fatigue, actually had two to refresh myself completely. The deteriorating weather had given rise to a light rain, adding a sense of urgency to my tent pitching. The ugly part about the rain was not the cold but the blood sucking leaches which it gave life to. In a very hurried manner Pemba and myself got the tent erected, albeit not before getting it a wee bit wet. Dumped my bag inside and began organizing all my stuff. With darkness blanketing the sky by five, there wasn’t much to be done besides taking a nap in the warmth of the sleeping bag. It was only now that I noticed that the direction of the slope was not proper, but it was too late and I quite tired to re pitch the tent. The latter part of the evening I spent in the log hut to the company of Pemba and my porter. The red hot ambers of the fire lent an extremely cozy felling inside, with the tomato soup bringing further warmth. The three of us had our dinner together after which I retired to my tent. Was a bit worried as the rain continued and I had never tested the tent before. On top of this the slope wasn’t proper making me toss and turn the entire night, leading to an extremely restless night. Clouds had already covered the sky by the time we began our walk at eight. The path gently climbed over a hillock giving us a bird’s eye view of the campsite. Being above the tree line, the vegetation had transformed to shrubs, wild flowers and colorful moss. The route traversed over several hillocks to reveal dark pink and yellow slopes with an occasional dash of pretty blue flowers. Walking through the clouds over this terrain lent a very dreamy effect to the landscape. Within two and a half hours we reached the yak herders hut at Upper Yambong where we would stay put for the night. By this time the clouds had engulfed us within their boughs making visibility extremely poor. Stretched out a bit while having piping hot tea within the warm precincts of the herders hut. It was a simple shelter made of stone slabs with a plastic roof, serving its purpose well. With not much to do Pemba suggested that we go to Daphey Bheer view point, for if the weather opened up we would get nice views. I personally though that it would be en exercise in futility with the current visibility conditions, but finally acceded to his plan. The word ‘Daphey’ means pheasant and ‘Bheer’ cliff in Nepali, from here one can see pheasants in plentitude, which in the current circumstance seemed highly unlikely. Half way through the view point ridge, we terminated our march as it seemed useless going any further. Sat down for some time hoping for the sea of clouds to clear out, but fortune did not seem to favor the brave. Occasionally the winds would open a small window revealing to us a view of Jamle pokhri (twin lakes) below. On our way down Pemba took me by a little different route to Lam pokhari, to show me the actual campsite at Upper Yambong. Luckily the winds were pushing the clouds out to reveal a beautiful lake. At the same time the sun came out too, further accentuating this gem set within the mountains. 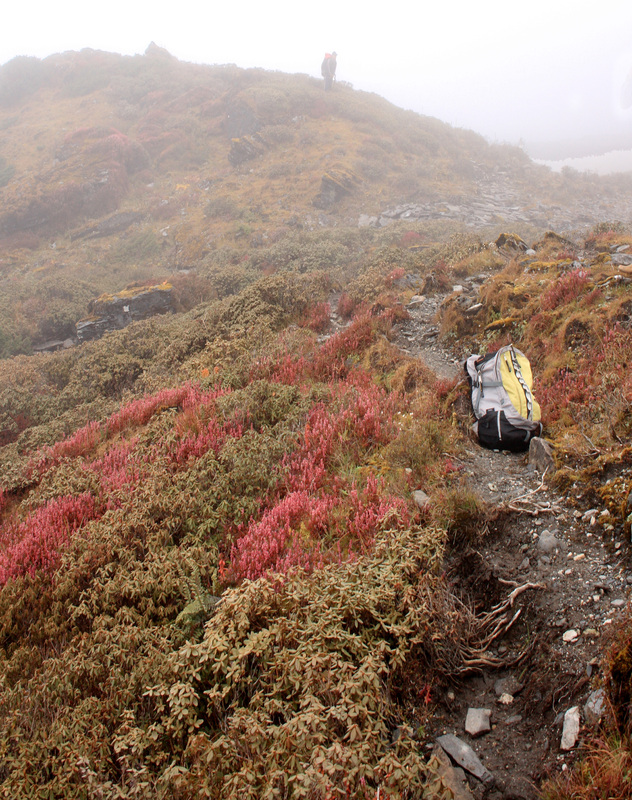 For the first time could marvel the multi colored slopes, laden with dark pink flowers along with dabs of bright moss. In no time I became completely engrossed in the vivid world of colors flirting with their beauty while photographing them. The rumbling tummy transported me back to reality, indicating that it was time to move on for a hot lunch. Post lunch we scouted for a suitable place to pitch my tent, eventually finding a very nice spot next to a rivulet. Today I made sure that the tent was pitched in the line of the slope as I had no intention of spending another sleepless night. The remainder part of the afternoon spent holed up in the tent updating my log and reading ‘Khangchendzonga: The Sacred Summit’. Towards evening a small section of the clouds cleared to reveal a bright blue sky with a tinge of golden ocher. The ornate sky transfixed me as I kept staring at it. As darkness began creeping went to the yak herders hut to gossip in the company of Pemba and the herders. While having dinner reconfirmed our plan for tomorrow, which was to leave for Daphey Bheer early in the morning if the sky was clear, else start our descent to Sangkhola. Went to sleep that night hoping for clear skies. As agreed Pemba came to wake me up at half past five, as I peeped out of the tent the sky was a bit cloudy, the cold intense. In my laziness I told him we would check the situation after another half hour and then take a call. It was quarter to seven by the time we left the camp for Daphey Bheer, by when the clouds had started forming in that direction. During our brisk walk to the vantage point, Kumbhakarna (Jannu) showed itself in all its magnificence. The clouds seemed to be outpacing me, though that only prompted me to climb faster. 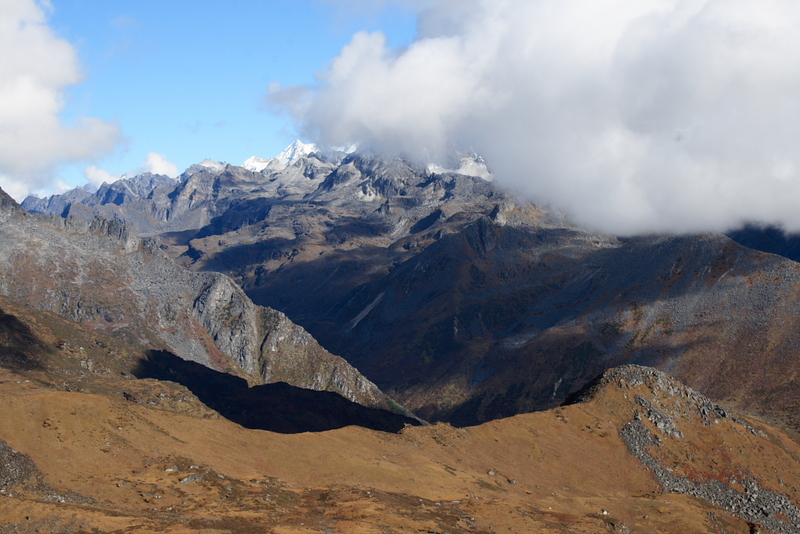 Most part of the Kangchendzonga range was in the cloud curtain by the time I reached the vantage point. Despite this managed to get very nice views of the surroundings and we could see as far as Dzongri. It was amazingly peaceful on top with the cool crisp air clearing the mind of all thoughts. The three of us sat there engrossed in our thoughts watching the ever changing light play on the landscape as the clouds guided them. Jamle pokhri appeared even more beautiful today, with the surrounding mountains reflecting in its clear still water, which in turn stilled my mind. The overcast clouds were now indicating us to make a move back to the camp. Half way through light hail started descending but within two minutes there was heavy rain mixed with hail. Fortunately the overhanging rock next to us did give us a good deal of protection. As soon as the rain slowed down a bit we made a dash to the herder hut where we warmed ourselves while preparing our brunch. The entire afternoon it rained relentlessly making for a dull drab day most part of which I spent reading in the tent. Knowing that we had a long day ahead of us, broke camp early to start walking by seven. The route till Lower Yambong was same, though this time around was able to enjoy the wild flowers as we had complete visibility. On our way down met up with a group of eight foreigners who were on their way to Dzongri. From Lower Yambong Pemba took a different route down. The initial part of the route passed through old conifer forests, before descending steeply into the valley. The route was knee wobbling steep putting great deal of pressure on the legs. The beauty about this route though was the view of the valley below as also the presence of multitude species of birds. On one tree I actually counted eleven different species of birds, dancing to and fro. At around one we reached the village of Chongri where we took a long halt for lunch. From here it took us another forty five minutes to Sangkhola where I stayed over at Pemba’ place for the night. Was up by day break as it was imperative to reach Nambu before eight thirty. Bid a final farewell to the ever smiling Pemba before I started for Nambu. The green fields emanated a very tender look in the early morning sun. My feet moved at a rapacious pace as we wound our way down to the Rimbi. The final climb once again proved to be quite a killer , thighs aching and lungs puffing. Alas I stood in Nambu, within two hours of leaving Sangkhola, well in time to take the jeep to Darap. With gleaming eyes I turned back to look at Daphey Bheer, still completely engulfed in clouds, through the window of the jeep bringing to an end six days of memorable trekking. Nice posts in your blog. Have been reading some of your reports here. Very impressed! I came here from some of your IM posts.